Writing for kids is a unique experience, requiring a different approach than adult literature. From capturing children's attention with compelling characters and situations to ensuring your style and vocabulary are accessible for younger readers, there's a lot to consider. Like any type of writing, there's no wrong way to create a children's story. However, you'll have better luck captivating your readers and possibly getting the attention of a literary agent if you follow a few basic steps. Before you even begin your story, you'll need to have a clear idea of your audience. Are you writing read-aloud books for very young children? Are you hoping to create an engrossing middle grade novel? Knowing your audience's age is essential. You can also further refine your ideas for your audience, as this can help you create your narrative. Are you writing for kids who have specific interests or who have shared certain experiences? Will your readers be one gender or both boys and girls? Create a mental picture of the child who will read your story. Like most other fiction, children's stories start with great characters. In children's stories, a great character is a character kids can relate to. This can be because the character is the same or similar in age, particularly if you're creating a middle grade or young adult story. However, there are other similarities that are just as important. Your character may be an animal or an insect or an alien, but he or she must share something with your reader. Perhaps it's a new sibling, a love of peanut butter and jelly, a fear of spiders, or any other characteristic. The shared quality can even be a childlike view of the world. According to Writer's Digest, it's also essential for children's characters to be active in their thoughts, feelings, speech, and actions. Great characters want and feel things and take active steps to meet their needs. After you've created your main character, you can begin to create a plot for that character. Your character should have a goal or need that he or she must accomplish. Clearly defining this need is the start of your story. The plot is about all the ways your character tries to solve his or her problem and all the obstacles encountered along the way. As you form your plot, continue to keep your audience in mind. Certain themes lend themselves to certain age groups, and your character's dilemma should address themes that are meaningful for that particular age. Stories aimed at preschoolers may focus on ideas like managing anger and other emotions, sharing, separating from Mom, going to bed, and using imagination. Read-aloud stories might address friendship, siblings, bullying, school challenges, and creativity. Middle grade stories may center around ideas like self-discovery, peers, fitting in, independence, and more. Typically, children's stories are told from the first person ("I") or third person ("he") perspective. Each has its advantages and disadvantages for child readers. First person makes the reader privy to the character's thoughts and feelings directly and creates an intimate connection, but it means that the reader can only see and experience things through the main character. Third person can focus on one character and his or her feelings and experiences, or it can focus on all the characters and not be limited to one person. The disadvantage is that third person can distance your child reader from the characters and create a problem of an unseen narrator. Your story will probably be better suited to one point of view or the other. Both are appropriate for any age level. As you begin writing, remember to use language that fits your audience. If you're writing a story children will be reading themselves, make sure your story is at that reading level. To ensure you're using appropriate vocabulary and sentence structure, read other children's stories created for the same age group. If possible, have a child test-read your story to make sure it works. Even if your story will be read aloud, be sure you use language children can understand. There's no reason to talk down to kids, but too many large, flashy words can put them off. Engaging your audience and maintaining their interest is your number one job as a writer. A good rule of thumb is to keep everything shorter than you would for an adult. Use shorter words and shorter, simpler sentences. Even the overall length of your story will probably be shorter than it would for an adult reader. As you begin creating words for your characters to say, remember that kids don't talk like adults. They may use more sentence fragments and simpler descriptions. They may not employ abstract thought techniques like metaphors. Spend some time listening to real children talking, and take note of the way they express themselves. Then make your dialog as much like this style as you can. The best way to engage your reader, especially when that reader is a child, is to jump right into the action of your story. Don't spend time introducing your characters, your setting, or anything else. If events start happening right on the first page, kids are more likely to keep reading. Continue this type of narrative, avoiding flashbacks or anything that will break the scene of your story, until you resolve the conflict and reach the end. Exposition or lecturing is especially likely to cause children to put down your story and pick up something else. As you write, pacing is another important consideration. If there's a lot happening at any given moment, you can slow down your language and describe everything in greater detail. When used properly, this can increase dramatic tension and glue your reader's eyes to the page. However, if you do this throughout the book, it can feel drawn out. Experiment with speeding up and slowing down the pace until you are happy with it. Pictures are an excellent way to engage kids in your story. The number of pictures and their importance will vary depending on your audience's age. Young children will need many beautiful pictures, while older kids may only need one every few pages. In general, it's best to add the pictures after you've completed the story. That way, they can accurately represent what you've written and you won't have to force your narrative to match them. Make sure each picture actually adds to the story and makes it more real, rather than distracting from the words. If you're interested in writing children's stories, the basic rules of working as a professional writer still apply. You need to have a strong command of the English language, be self-motivated, and not be offended by constructive criticism. The following tips can also help. Thinking about your own childhood can be a good way to get ideas for writing children's books, but your memories will be skewed by the passage of time. If you're interested in writing children's stories, you need to spend as much time observing today's children as possible. In addition to listening to your own children at play, watch how kids interact at playgrounds and in the mall or other public places. Consider volunteering at your child's school or working with a non-profit group that serves children. The more children you come into contact with on a regular basis, the easier it will be for you to create believable characters for your stories. To be a successful professional writer, you need to know your market. Study as many children's books as possible and pay attention to what is selling the best at any given time. Are there any particular themes you should be aware of? If you're not familiar with the wide variety of children's books available today, visit LoveToKnow Children's Books to learn more about picture books and chapter books for young readers. When writing a children's book, you need to make every word count. A novel for adults gives you 300-400 pages to tell a story, while a children's book generally requires less than 1,000 words. You need to keep your story short and to the point in order to be successful. Think about what details are the most important and how you can use the illustrations in your book to convey added layers of meaning. Children's books, unlike books written for adults, are generally designed to be read aloud. Once you have a rough draft of your story, practice reading it aloud to see how the words flow together. If you find yourself tripping over certain sentences, this is a good indication revisions may be in order. 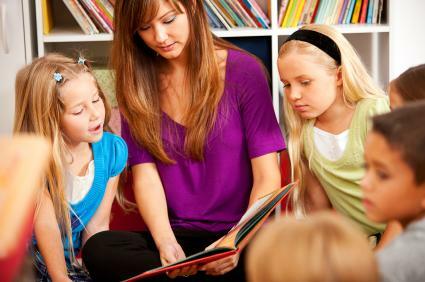 Another great way to test your story when writing for children is to actually read it aloud to various groups of kids. Watch their reactions. Notice if they seem to have trouble understanding any part of the story. Ask them if they can guess what happens next. This feedback can be just as valuable as any criticism from a formal writer's group. Whether you're hoping to find an agent, self-publish a children's book, or just create stories for a special child, writing children's stories always comes down to knowing your reader. If you can understand and capture your child reader's hopes and fears, you can write a story that will be engaging from the first page to the last.